Finish your draft and print it out. But don’t read it right away; put it aside for a few hours. If you can let the draft sit overnight, even better. Now come back to your writing and read it aloud. Listen for any sentences that sound too long or that meander too much, or for any phrases that are difficult to say. Be mindful of where you need to take a breath. Circle any problem areas. 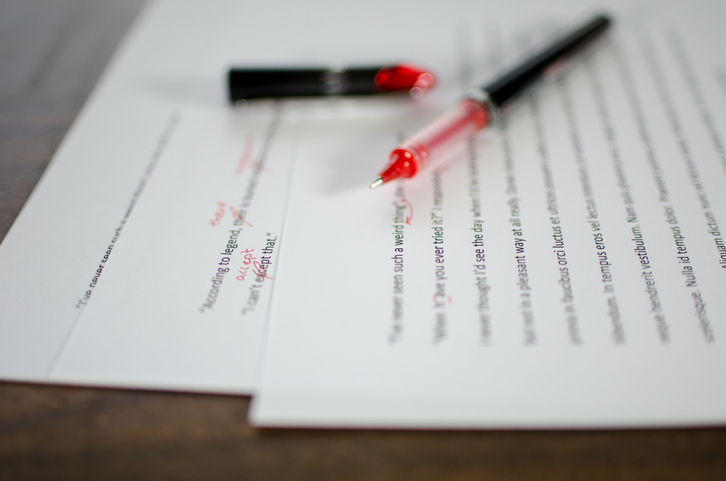 Now re-read your piece silently with a highlighter or red pen in hand. Mark any redundant words or phrases. Look for content that is not relevant to making your point. Go back to your computer and edit your piece. Use the Microsoft Word spelling/grammar check to determine the Flesch reading ease score for your piece (should be a high number; this blog scores 80.2) and the Flesch-Kincaid grade level score (should be as low as possible; this blog scores 5.1). If your grade level score is 10 or above, look for opportunities to lower it. How? Make your sentences shorter and choose simple words instead of complicated ones. While you don’t have to use all these techniques every time, any will help you take a fresh approach to a piece you’ve written. Good luck!